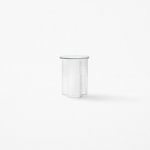 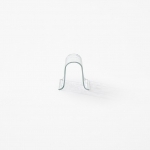 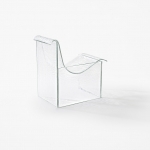 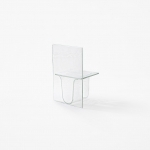 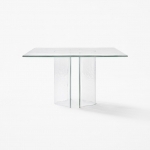 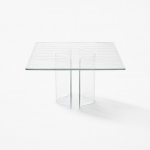 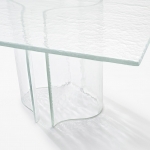 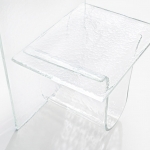 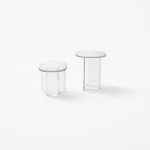 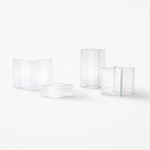 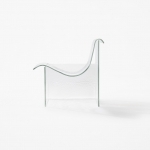 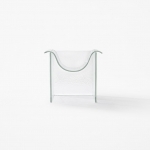 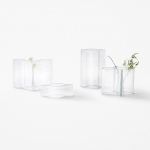 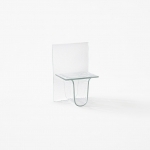 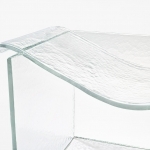 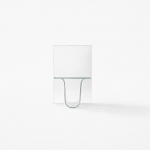 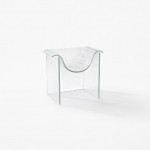 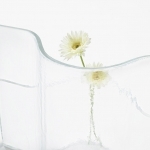 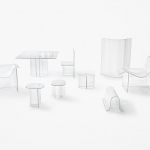 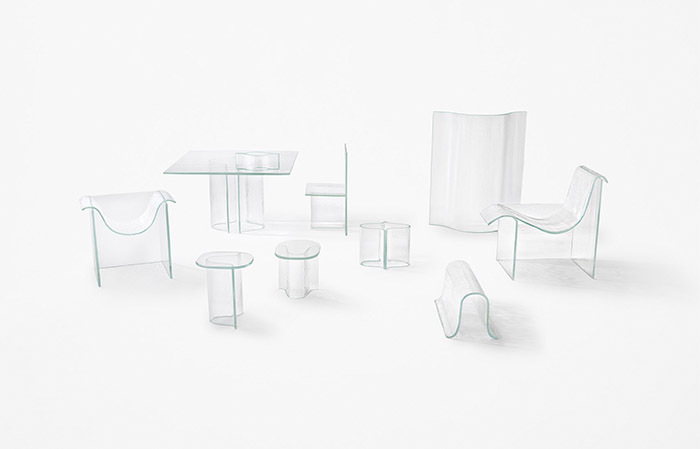 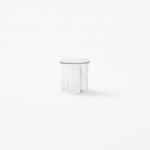 A furniture collection designed for WonderGlass, a manufacturer and expert of Venetian glass.The company excels in glass casting with a special technique of removing pliable material out of the mold to further process it by hand. 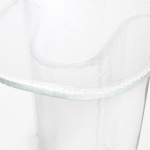 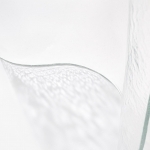 The design of the new collection takes advantage of this method and the viscosity of the glass. 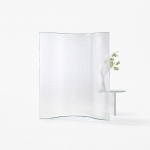 In the making process molten glass is first poured into a square frame, where a number of craftsmen simultaneously even out the surface using iron trowels. 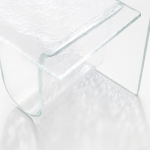 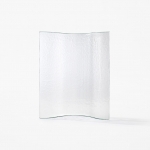 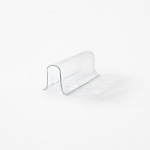 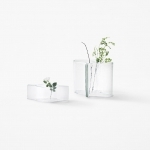 The glass gradually cools and upon reaching a certain pliancy, it is moved and placed onto a U-shaped mold or its inverted shape, allowing the glass to slowly sink or stretch to create a beautiful arch. 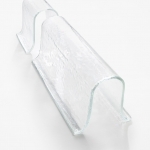 Even during this shaping process, the craftsmen use tools to shape the arch, making sure there are no bends or cracks. 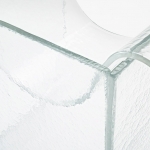 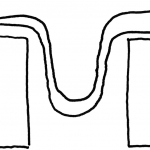 This curving glass technique is used to design armchairs, tables, flower vases, and more. 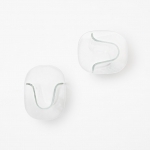 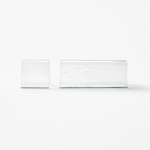 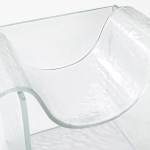 Since the arches and curves are created by the glass’s own weight and viscosity, the collection was named “melt”.